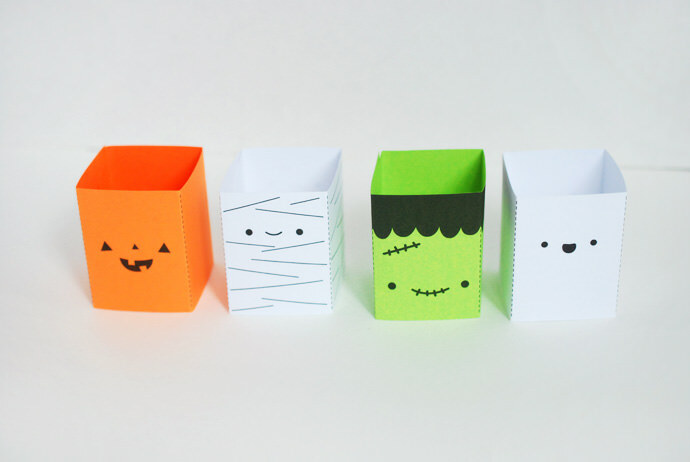 When you’re planning your Halloween party and need an extra activity, print up a set of these monsters, ghouls, and gourds. 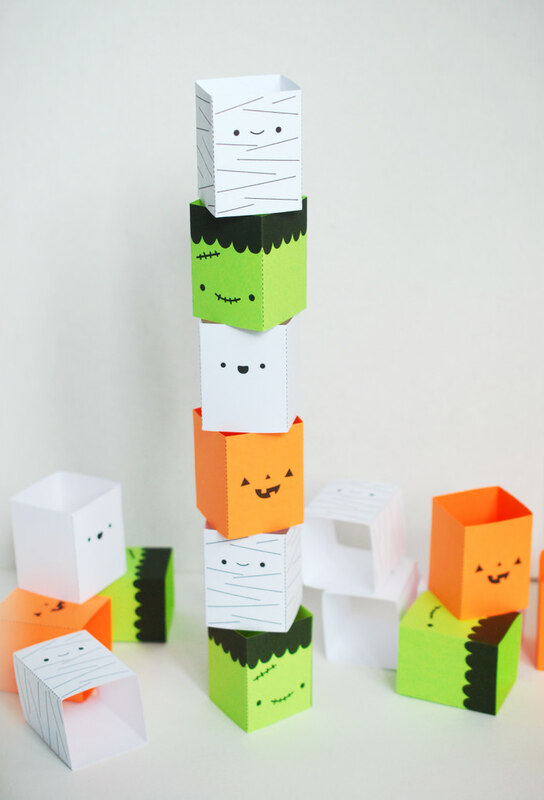 Even if you are only celebrating with your own littles, you’ll find that this simple stackable toy will be a real hit. See how high you can stack them, or try your hand at knocking them down! 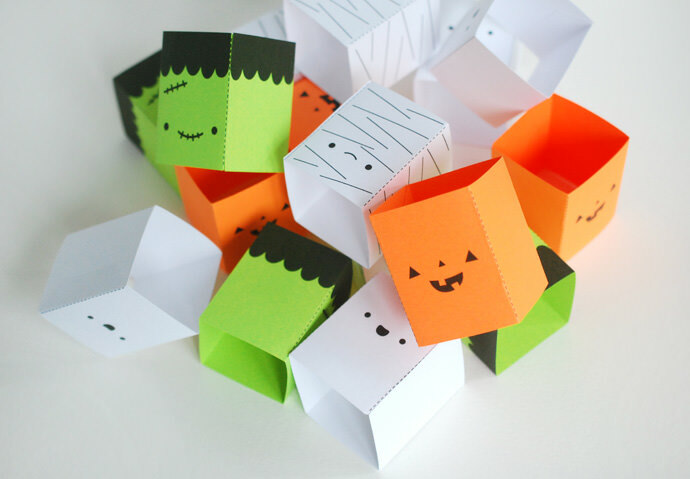 They are quick to print, fun to stack, and when you’re all done, you can have yourself a monster mash (before they head to the recycling bin!). 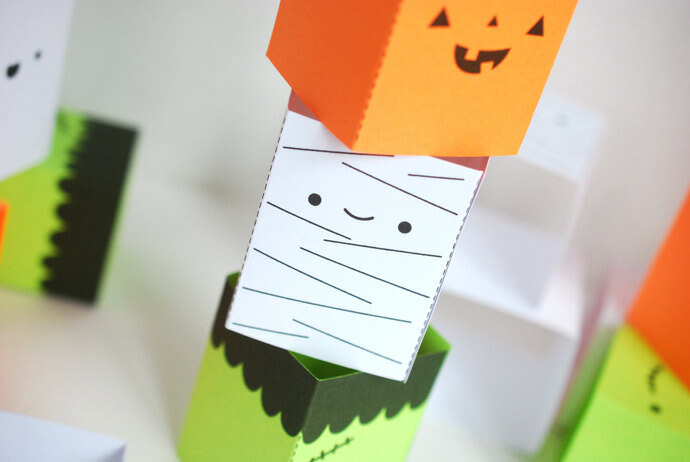 Print the Halloween Stackers on the card stock. 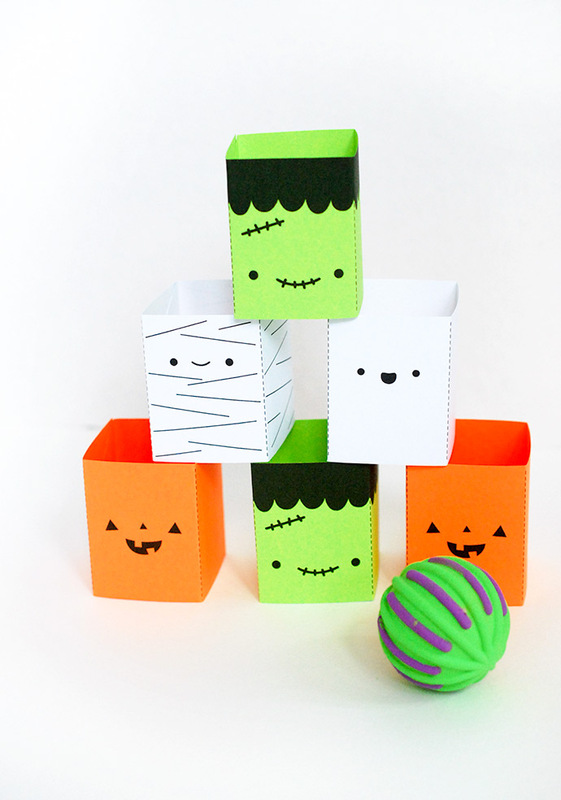 Use white for the mummy and ghost, orange for the pumpkin, and green for Frankenstein’s monster. 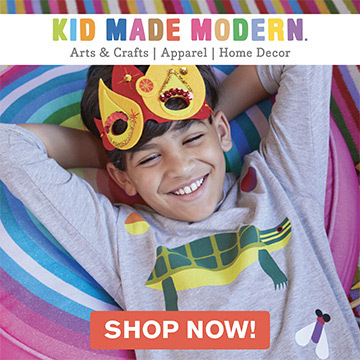 Or, you can use white for all of them, and color them with crayons. 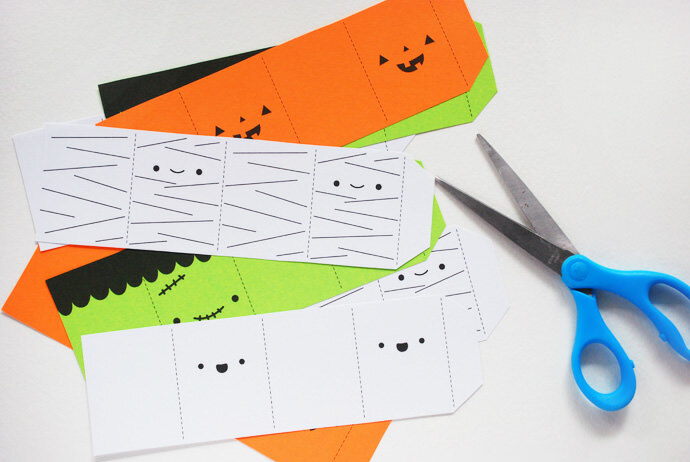 Cut out each stacker on the solid lines. 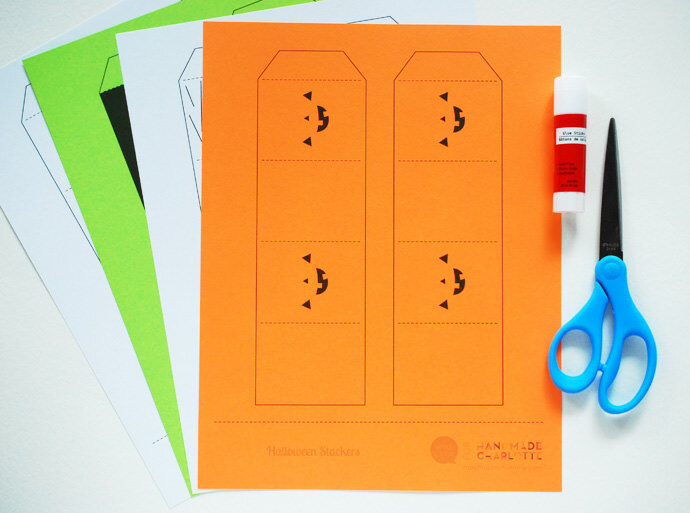 Fold the stackers on the dotted lines. 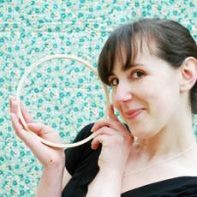 Run a finger nail or a butter knife along the fold to get a good crease. 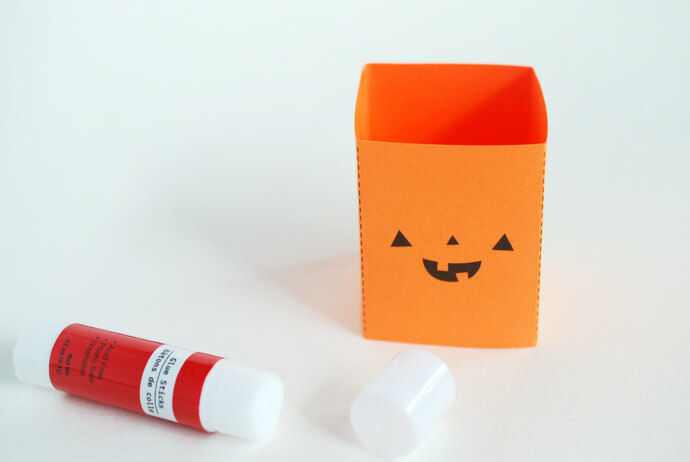 Use the glue stick to attach the tab, forming a squared tube. You can use tape for this step if you’d rather. 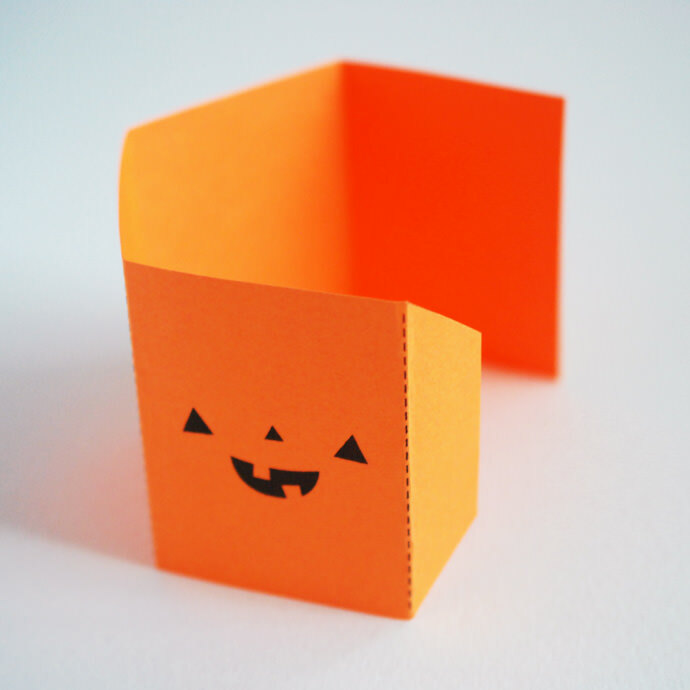 Tape the tab inside, and wrap a little on the corner too. Repeat steps 1-3 until you have as many stackers as you want. I recommend having at least 16. Now you can start stacking! 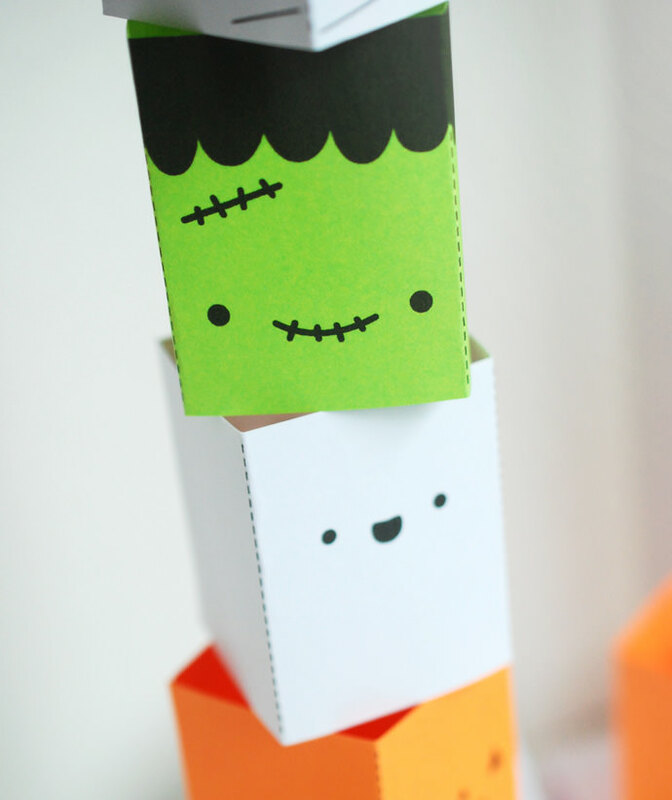 Make a challenge of it by seeing how tall you can get these ghoulish friends in a single stack. My personal best is 12 (with a breeze coming through the window! ), but I’ll bet you can beat me. When your stack has reached its limit, they’ll come crashing down! 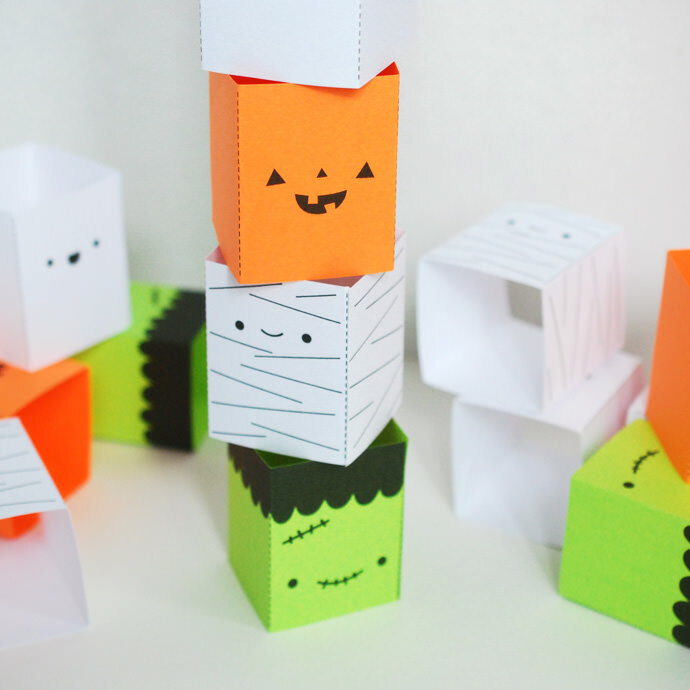 Another fun way to play is to stack your Halloween friends into a pyramid. Use a ping pong ball or another lightweight bouncy ball to try and knock them down. Add to the challenge by requiring a bounce before the ball hits the stackers. 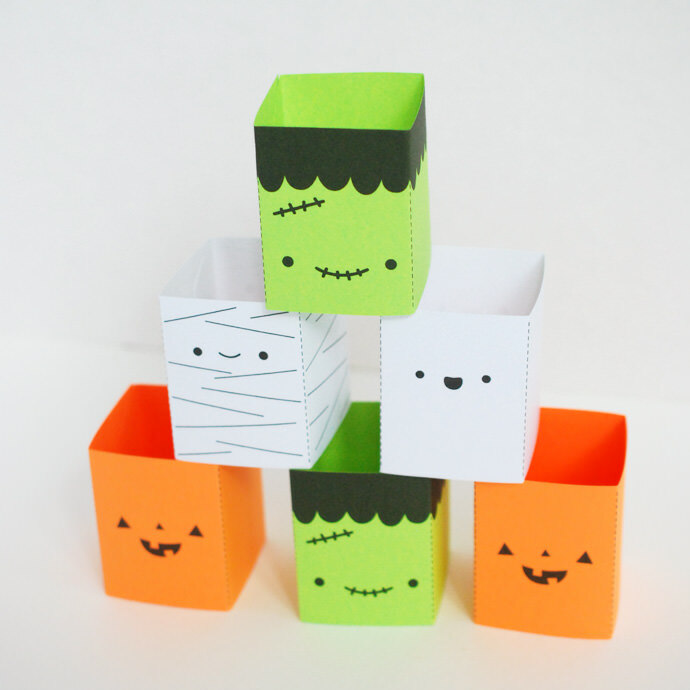 If you’re hosting a Halloween party, why not let your guests make their own sets of Halloween Stackers? You could even have some around for decorations! If you punch holes in the sides, you can hang them like little lantern shades. 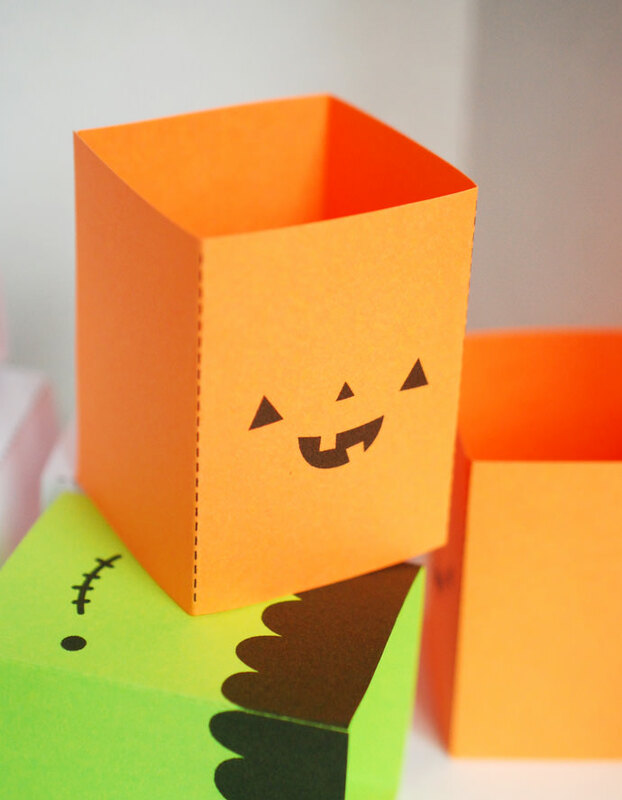 But even having a few short stacks on your treat table will add some Halloween flair! When I print the .pdf it prints without the dotted lines for the folding guide. I’ve tried on different sheets of paper. Anyone else have this problem? Tracy, it worked for me! It might just be a printer problem? I was afraid of that! I’ve been meaning to try on another printer. Thanks for checking the file!